My students are growing up with all the clean freshwater they could ever want. The Great Lakes are the single greatest collection of useable freshwater in the world. There are places in our own country and around the world where clean freshwater is more important than any other resource. As the water shortages of this country continue to worsen and the demand increases, there will be more and more pressure to take the water from the Great Lakes and pipe it to other parts of our country. I feel it is important to educate my students on what I consider the greatest natural resource on Earth. They need to understand the importance of caring for and protecting the one resource every living organism requires for life. The demands on the Great Lakes are increasing and it is very important for the community living around them to know their importance and actively defend them. We can no longer take them for granted and continue to abuse them when they will soon be the most sought after commodity in this country. 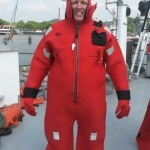 My goal is for my students to feel connected to the Great Lakes and take ownership for the well-being of the Lakes. 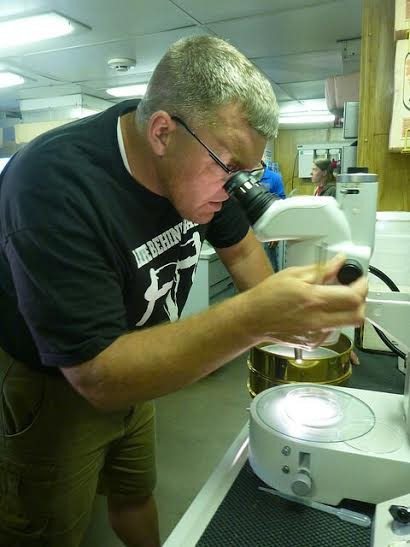 I was introduced to this activity by Deanna Erickson from the Lake Superior National Estuary Research Reserve a few years ago. 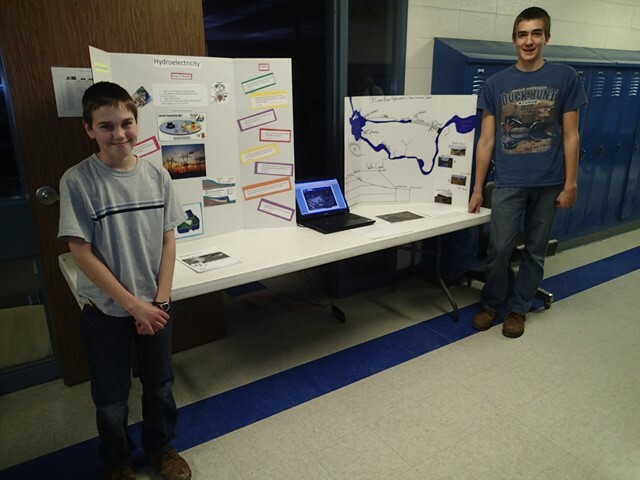 It is a great activity to introduce students to the impact we have on rivers and lakes. The students are given a piece of printer paper with a river roughly outlined on it. They are told they have $1 million dollars to develop the shoreline of this piece of the river any way they would like. They have to draw and color their developed piece of the river. Then all the pieces of the river are put together on the floor of the classroom. Starting from one end, the students go in order, explaining their development along the river. Once everyone has explained their development the students must compile a list of potential impacts each development will have on the river. I have them write their list down for each development. We then have a discussion on what they think the impacts will be on the river. We talk about the accumulating effects as the water travels down the river. The final part of the activity is talking about ways to reduce the negative impacts of each development on the river. 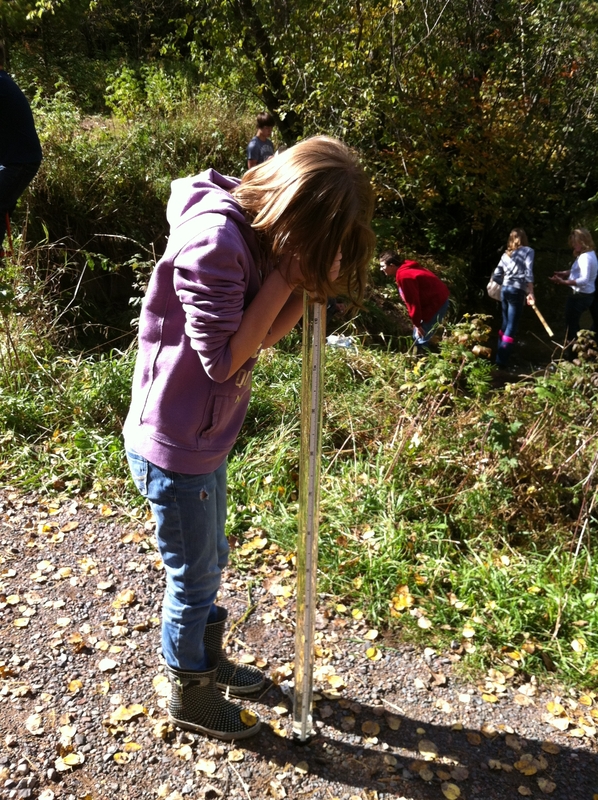 What could each student do with their development to reduce or eliminate the harmful impacts on the river? 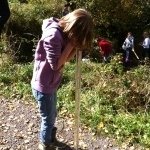 On the last day of each school week, my 8th grade Earth Science students go out to a small trout stream behind our school. This stream flows into the St. Louis River, the largest river flowing into Lake Superior. 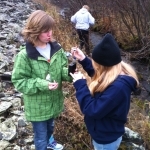 The students are responsible for testing the dissolved oxygen, pH, and chloride of the stream, as well as recording temperature and conductivity readings. 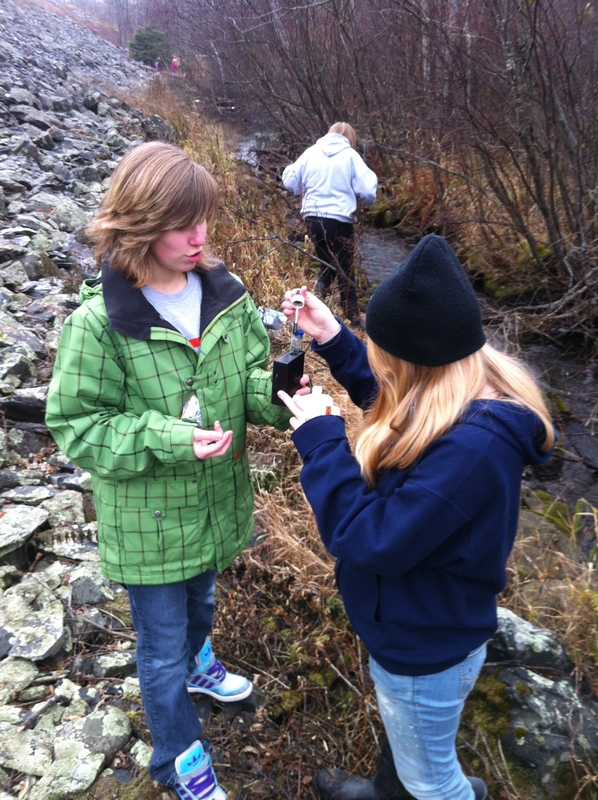 During the fall and spring, students collect and record macroinvertebrates. I am keeping their data from weekly monitoring in a binder in my classroom so that eventually I will have many years of data to use for as a basis for detecting and understanding any changes in the stream. 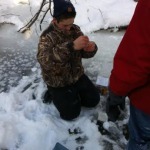 Weekly trips to the stream to monitor water quality. 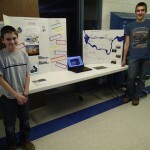 Student research projects about the St. Louis River and Lake Superior. Students have to create posters that explain what they researched and show their data and results. These posters are put on display during spring parent/teacher conferences. I have a half dozen engineering projects the kids do that are water focused. They are not Great Lakes specific, but they can be tied to the Great Lakes easily. Discussions with the kids. 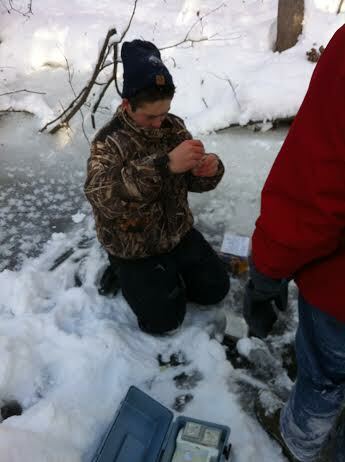 I am always talking with the kids about the freshwater, rivers, lakes and the Great Lakes. 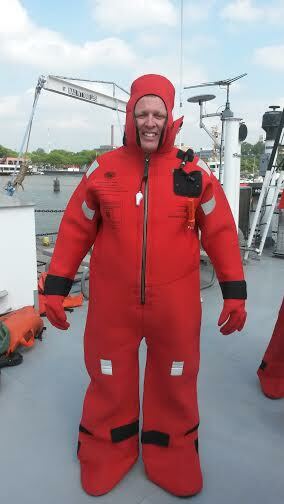 This past July I had an amazing opportunity to spend a week on the EPA’s R/V Lake Guardian ship on Lake Erie. During this week I had the opportunity to work with Dr. Sherri Mason on her research of microplastics in the Great Lakes and St. Lawrence River. Microplastics are tiny toxin accumulating pieces of plastic used in many personal care products. These microplastics are starting to accumulate in the waters and on the beaches of the Great Lakes in large quantities. They pose a health threat to aquatic organisms, as well as any animal or bird that eats them. I learned a great deal during the week and have so much to share with my students.